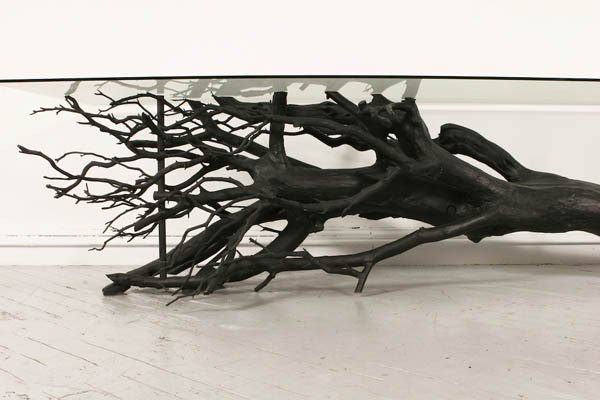 Although most of furniture are made of wood (tree in another world), but we don’t often see the furniture literally has tree shape. 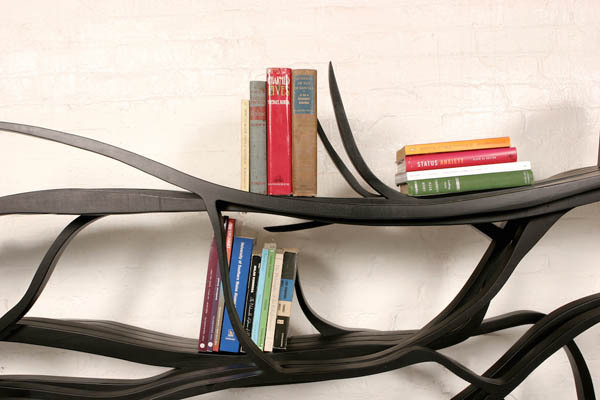 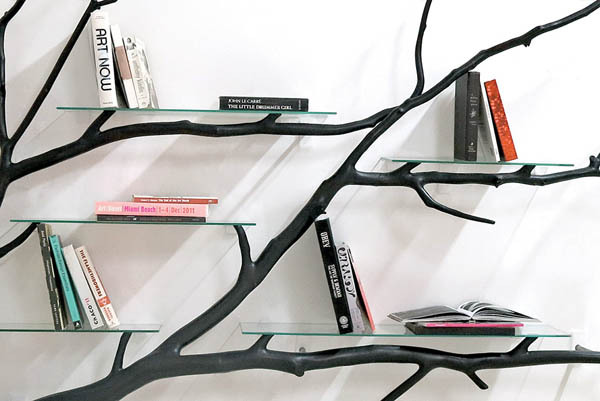 While artist and designer Sebastian Errazuriz allows natural form to dictate his furniture design, building shelves and tables that conform to the tree structures directly. 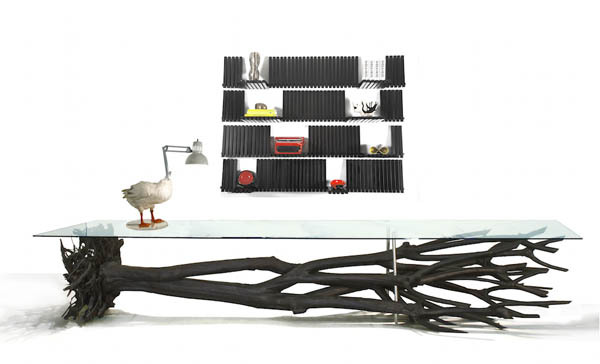 To keep his design simple, Errazuriz places only thin panes of glass to add the functionality needed for shelves or tabletops. 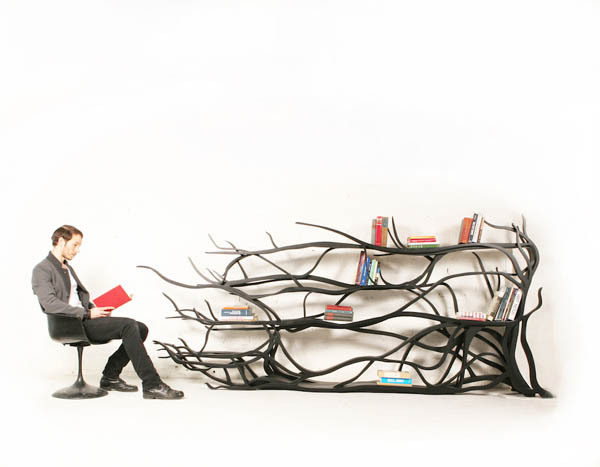 The trees used in his one-of-a-kind furnitures are fallen limb from forests in South America. 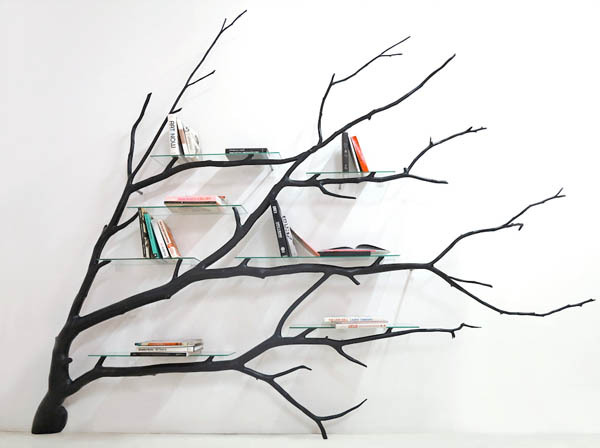 After find the right branch, he took them back to his workshop. 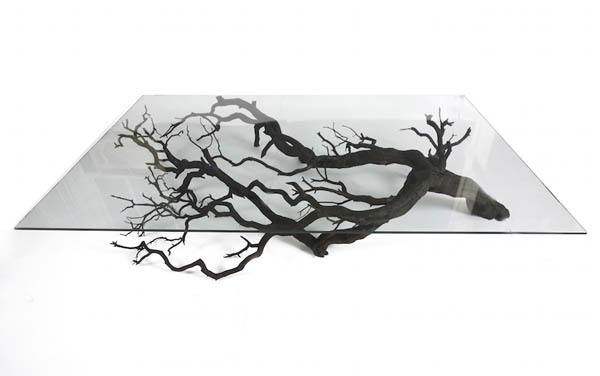 There, he twisted, turned, and readapted it, allowing the giant branch to hug a flat wall or stand on the floor, having their new life as unconventional furniture.